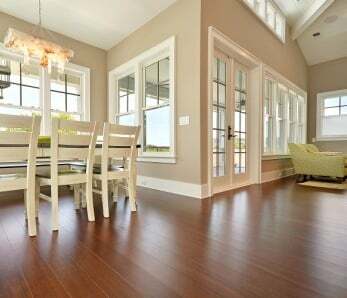 When homeowners want the look of hardwood floors but prefer an eco-friendlier option, they generally turn to two flooring substitutes: bamboo floors and engineered hardwood floors. 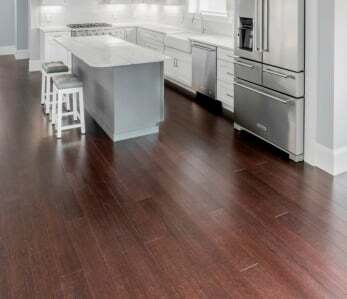 This article will explore the differences between hardwood and bamboo flooring, what they are made of exactly, how they are manufactured and the various pros and cons of each. It’s a bamboo flooring vs. hardwood engineered flooring showdown. Some people assume engineered and laminate floors are the same thing, but they are not. 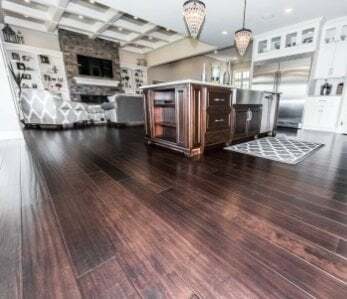 Laminate floors are made of plastic layers glued together while engineered hardwood floors are made of a solid wood top layer glued to an hdf or multi ply wood substrate. Solid wood floors are made of sections of a single hardwood such as maple or oak, and the planks are actually a continuous piece of wood. In the case of solid bamboo floors, often strands of bamboo are . Engineered hardwood floors can be made up of several layers of different types of wood, or a top layer of wood with an HDF substrate. The top layer may be cut from just about any species of wood but is thin and glued down to the section underneath it. Since the top layer of engineered hardwood is real wood, these floors appear identical to solid wood floors. When the wear layer is thick enough, engineered hardwoods can also be refinished. They’re typically installed using the floating method where planks can simply be snapped together like a puzzle without any need for glue or nails. Maintaining engineered hardwoods is the same as solid hardwood floors. They should be swept regularly to keep them free from dirt and other debris as over time the debris may scratch the surface. Spills should be wiped up immediately, and harsh chemicals should never be used to clean. One of the benefits of engineered hardwood over solid hardwood floors is they have more dimensional stability and can be installed as a floating floor, including in basements. These floors are not as susceptible to moisture, swelling or warping as solid wood floors. They’re also great for DIY’ers, cutting down considerably on installation costs. And speaking of costs, the price of these floors is also a big selling point as engineered floors typically cost less than traditional hardwood floors, and since they use less wood they’re often better for the environment. You’ll need to do a fair amount of homework to make sure you find a manufacturer who produces a “solid” product (pun intended!). Some producers manufacture planks with veneers that are much too thin which won’t allow the homeowner to ever sand and refinish. This cuts down on the life of your floors significantly. Some manufacturers will also try and cut corners by using inferior core layers made of regular fiberboard, not high-density. This can greatly compromise the stability of your floors. Bamboo planks are composed of strands of raw material that are weaved together and then pressed. The strips are first boiled to remove any starch or sugars, then dried and planed. Natural bamboo is a very light color similar to blonde. It also goes through a carbonizing process where the bamboo strips are steamed under controlled pressure and heat, which creates a rich brown color. Bamboo can also be stained many different colors, and it comes in many hand-scraped and distressed styles. Like engineered hardwood floors, can also be installed using either a glue-down method, nail down or floating method, but care should be taken only to use engineered bamboo flooring in a floating installation as some brands have a nasty reputation for having shrinkage problems – but if you do your research and choose a quality brand, you’ll love these floors. Bamboo is very versatile and comes in a wide variety of stains and styles. Strand woven bamboo floors are highly durable, eco-friendly, and much harder than most hardwoods. 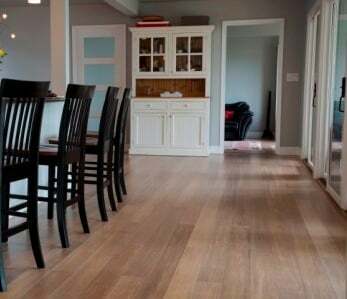 They are the most environmentally friendly floors on the market today because bamboo has a quick regenerative rate. Bamboo can typical renew itself in as little as 5 – 7 years. Compare that to hardwoods which can take as long as 30+ years to grow. 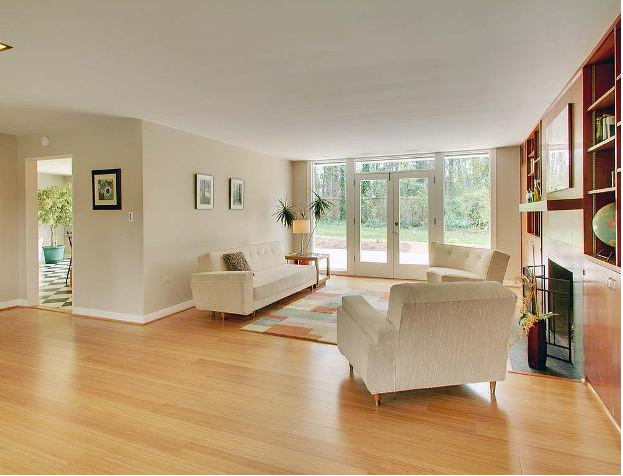 Bamboo floors are installed just like traditional hardwoods, and are also easy to clean and maintain. Strand woven bamboo will typically never need refinishing in a residential environment. Bamboo makes an excellent choice for high traffic areas such as kitchens, powder rooms, laundry rooms, and entryways, as well as for people who suffer from allergies. Installation of bamboo floors is a fairly quick and easy process, and generally it does not require sanding and multiple coats of toxic varnish. 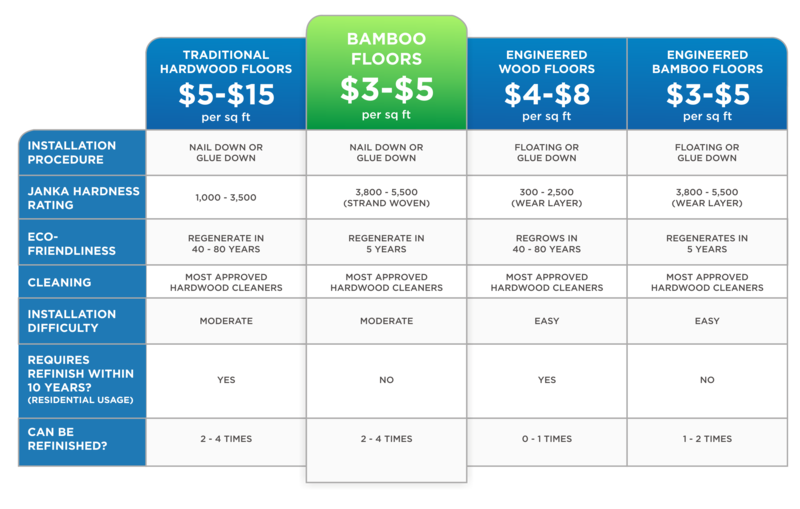 Bamboo costs a fraction of what traditional hardwood floors cost making it a great choice for home owners on a budget. Like engineered and solid hardwoods, bamboo manufacturers should be researched before making a buying decision as there are many inferior bamboo products on the market. Some brands shrink a lot more than others, and a simple web search on the brand name and “shrinkage” or “complaints” will turn up good information. 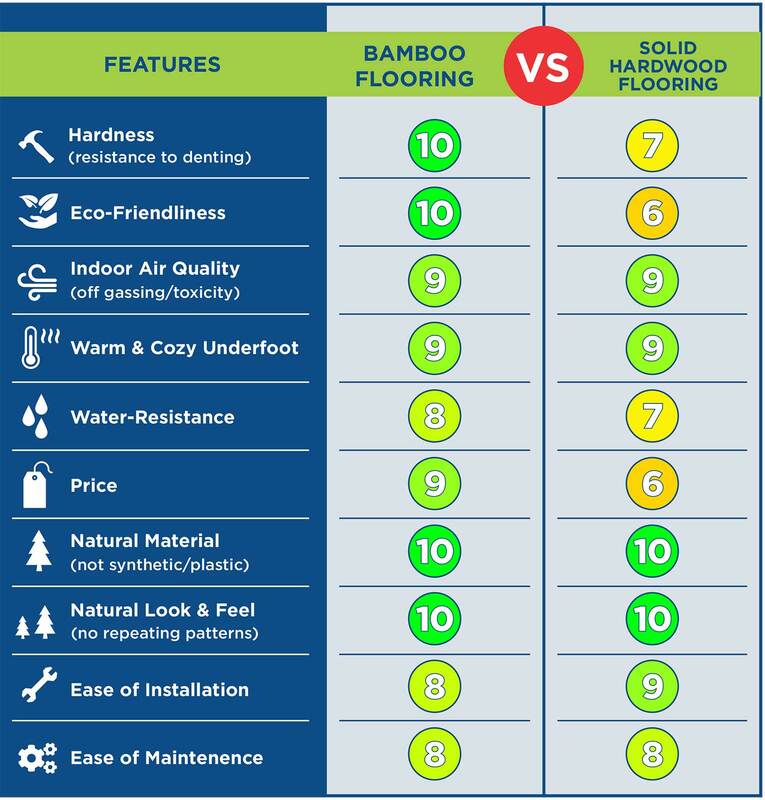 Also, although bamboo is a very green choice for your home, all bamboo flooring comes from China, where there are no government standards or regulations concerning environmentally-friendly practices, so researching the importer for negative reviews is of utmost importance. 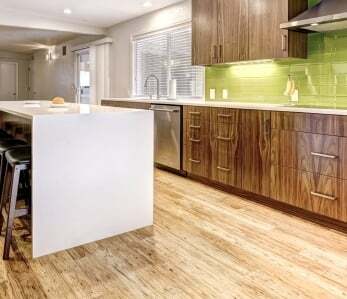 So, is there a clear winner in the bamboo flooring vs. hardwood engineered flooring challenge? Both are more affordable than traditional hardwood floors, both are durable and stand up against moisture, and both can be installed in a variety of ways and by the homeowner. Where we feel bamboo is the stronger contender is by its superior Janka hardness ranking, exotic beauty, and its unparalleled sustainability as a flooring source. Now that you know the differences between hardwood and bamboo flooring, you’re equipped to make the decision that’s best for your home. ‹ Does the thickness of my wood flooring matter? Of the five or six reviews of this subject I have read, this is the most complete, easy to understand, and useful. Now all I need is a list of reputable manufacturers, which I am sure your site would prohibit—but this review also provides me with the questions I need to take to my flooring supplier. Good work! Just the info I needed to make a decision. Thanks. I was going back and for between engineered hardwood and bamboo, but thanks to this article i think I’ve made my decision. We are building a home and with so many decisions to make this article helped us decide which flooring to pick to fit our family of 3 kids and a cat. Now to find a good brand and a great price! We recommend taking a look at ! As long as the floor is installed properly, there isn’t much of a difference in flooring performance between engineered and solid. Engineered floors sound a bit more “hollow” when you walk on them, but if you get an underlayment with a high STC rating (sound muffling), it’s hard to tell the difference between that and a solid floor. Let us know if you have more questions!